How does one map an ANF to a toffoli network? Is there a straight-forward procedure for doing this? Why does this not work? 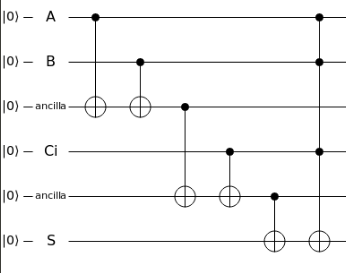 What is the process to map an ANF to a toffoli network? PS I apologize for not being able to find an appropriate tag. The process for mapping ANF to toffoli network works, but only if the ANF is correct.